At present, dental specialties such as periodontics and oral surgery are responsible for the surgical treatment of defects in the gum and oral mucosa to correct and harmonize the mouth and smile of our patients aesthetically and functionally. This article summarizes all surgical techniques and tools for the resolution of these mucogingival defects. Periodontal tissue alterations (gingiva, alveolar bone and root cement), do not exclusively represent an aesthetic problem for the patient’s smile, but on different occasions they interpose and hinder other rehabilitation treatments of dentistry such as orthodontics or prostheses, also favoring the accumulation of plaque and, therefore, the inflammation of the gingival tissues. Periodontal or mucogingival surgical therapy consists of surgical treatments aimed at the correction of morphological defects, position or number of soft tissues and alveolar bone underlying the teeth and osseointegrated implants. Citation: Marcos Di Pascua D’Angelo. 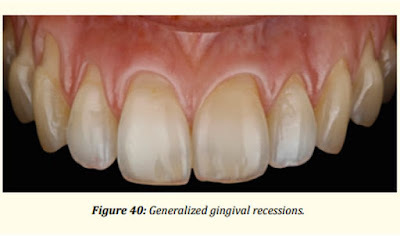 “Gingival Plastic Surgery”. EC Dental Science 17.5 (2018): 561-574.